When Can I File Taxes? Income tax filing can be a dreaded event for some taxpayers, but if you are expecting a tax refund, it’s a good idea to know how much you could be getting back. Estimate your Tax Refund today! The “Tax Refund Estimator” tax calculator can simplify the process for you and help provide a fairly reliable figure on your estimated tax refund. This tax calculator can also help you determine whether you’ve underpaid taxes for the year, and if so, how much you will owe the IRS on April 15th. If you’re getting a tax refund, this online calculator can help you plan how to use those funds most appropriately ― whether you want to pay-off some bills or start an investment account for yourself or your children. Use the “Tax Refund Estimator” to quickly and easily estimate how much you’ll be getting back as a tax refund, or whether you’ll need to pay Uncle Sam. You will need to enter certain information into the tax calculator, including the items below. Choose your filing status from the tax calculator’s drop-down menu, which includes the same options as the IRS Form 1040 (single, head of household, married filing separately, or married filing jointly). Enter the amount of your gross annual income into the tax calculator. This refers to your total annual earnings ― including tips, bonuses, self-employment income, and any other wages before taxes are withheld. If you are not participating in a plan sponsored by your employer (such as a SEP IRA, SIMPLE IRA, or other qualified plan), the contributions that you make to your Traditional IRA are generally tax-deductible. If you do participate in an employer-sponsored plan, the deductibility of your contributions is based on your modified adjusted gross income (MAGI) and your tax filing status. Input your total contribution into this field on the tax calculator. If you have numerous deductible expenses (such as mortgage interest, state or local taxes, medical or dental expenses, alimony, child care, or charitable contributions), it may make sense for you to itemize those deductions. If your total itemized tax deductions are greater than the standard deduction for your filing status, enter that dollar amount in this field on the tax calculator. You can claim a personal exemption for yourself and for each dependent that you support. Exemptions are subtracted from your income when calculating taxes, so you pay less to the IRS. Note that the personal exemption amount may adjust annually for inflation. Enter the total amount of your exemptions into this field on the tax calculator. In this part of the tax calculator, you must report any dependents who rely of you for support ― this may include your child or another family member you take care of. 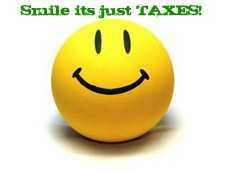 To qualify as a dependent for tax purposes, there are certain IRS requirements that must be met. Enter the total dollar amount of Federal income taxes that were withheld from your paycheck. Note that under-withholding can result in owing additional money to the IRS. Once you have put all the appropriate information into the Tax Refund Estimator tax calculator, click “Submit” to view your results. Estimate your Tax Refund Online. © 2019 IRS Tax Season 2019 All Rights Reserved.. Hosted by teQh Web Hosting and Domain Registration.